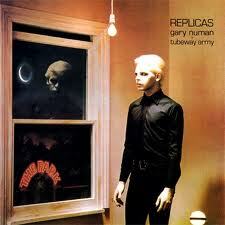 Even though Gary Numan was a figure of fun to many, to many others he was also a very central figure. So much so that his fans became pretty obsessed and wore copies of his costumes to show their allegiance to his unique look. Ok, so in some ways Gary wan’t quite unique as he leaned on Bowie, Japan and a collection of other white-painted androgens for his look. But it was in the way Gary created his whole package, the obtuse, personal and sometimes pointedly nasty lyrics, coupled with the obviously uncomfortable person inside it all, made him so important to those of us who were proud to call ourselves Numanoids. I heard Cars & We are Glass on the radio but Numan didn’t have much impact on TV here as he was considered too strange for Australian audiences in general. The local album covers often showed him with a “tan” so as not to scare us off. 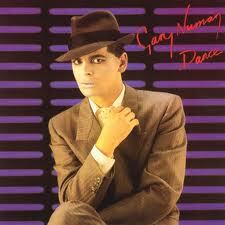 I had largely forgotten Gary till one day at the library I found a cassette copy of Dance. I knew he was a key artist for me (despite not really knowing who he was) so I took it home. I can’t say I understood a moment of it but I knew it would be important later so rather than doing what most younger people do and declaring it rubbish I filed what I had for later. “Later” came in a share house where a flatmate would regularly wake us up with Replicas. It’s strange how a few notes can seep into you and wake something. For a while I thought that intro to Down In The Park was a strange dream, then one day I was up early enough to recognize the sound whilst awake. I asked what it was and the rest is history. I bought everything from The Plan to Strange Charm (nothing past) including the Bill Sharpe records and loved every minute of it; the sound, the style, the words, the sense that only a few of us got it. White Noise became the blueprint for live records for me for years. In many ways Gary Numan is the switch that got me making music. When I first got synths I wanted to make Gary Numan sounds more than anything else. I wanted to make Numanesque songs as is clear from my first EP as Aeroplastic Voice called Tubeway. I owe Gary (and the musicians he worked with) a great debt and admire him to this day.